Duck, Death and the Tulip is a strangely heart warming story. A duck strikes up an unlikely friendship with Death. Simple, unusual, warm and witty. The superb use of mime, magic and puppets allows the play to deal with a difficult subject in a way that is elegant and thought provoking. 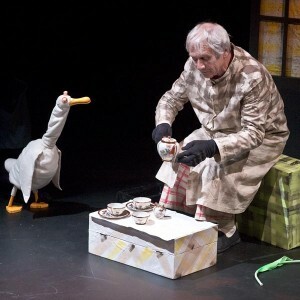 The story will intrigue and enchant both children and adults alike!